We’ve all heard the jokes about millennials. They’ll never own a home. They spend too much money on brunch. They expect trophies for mediocre work. The list goes on. It’s possible these sentiments have some truth to them but, to the horror of brand-names nationwide, there is one place where frivolous twenty-somethings play their debit cards close to their chests—the grocery store. When it comes to actual necessities—like canned goods, cuts of meat, and bread—modern consumers reach for the best value. The large grocery retailers are continuing to capitalize by manufacturing their own product lines. Coca-Cola, Heinz, and Jif are being shunned in favor of private labeled goods like Wal-Mart’s Great Value, Target’s Simply Balanced, and H-E-B’s Hill Country Fare. We’ve done our own research into why private labels are winning. When a customer visited the local market in decades past, the limited selection and quantity offered little choice. As globalization urbanizes even the most rural communities, stores carry almost seven times the inventory they did in the 1990’s. Now, something as rudimentary as canned tomatoes can take up an entire half-aisle. After deciding on the shape and flavoring of the tomato (Diced or crushed? With green chilies or roasted garlic? ), hoards of carefully branded tomato graphics beckon from the 8-foot tall shelves, vying for their 72-cent share of your weekly grocery bill. Add confusing price-points and impossibly tiny price-per-ounce readings to the mix, and it’s no wonder that shoppers slip into choice paralysis. At that moment of indecision, private labels sweep in to save the day. They may not have the brand recognition (like Hunt’s), but they’re cheap, cleanly advertised, and nine times out of ten, they have an added red-tag discount. In the 2000s, every retailer carries Lays potato chips. Without their novelty or aura of scarcity, America’s most venerated grocery brands have been demoted from supreme to average. Grocery chains keep their parking lots full now by color-coding their produce department, handing out free samples every Saturday morning, or having their sackers push patrons’ carts out to their cars to unload. Companies have always been expected to approach their industries from a unique angle. In the 21st century, that means offering a nuanced experience. Once a consumer finds their perfect match in a food retailer, their loyalty lies with the store itself rather than the name-brand products inside. So, when it comes to filling their carts, customers love to support the retailer through private label purchasing. Once someone selects their retailer, they’ll visit that store location at least monthly—and sometimes even more than once a week. 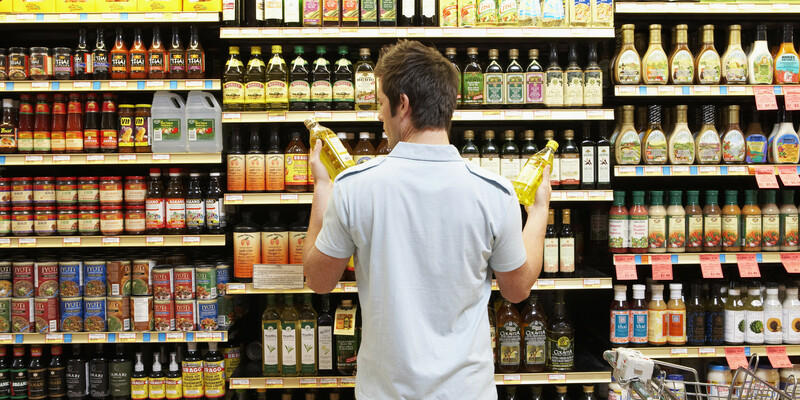 Unfortunately, the regularity of grocery shopping means that most buyers just aren’t in the mood for experimentation. Some shoppers won’t even step foot in a grocery store without a written list of the items they need. In most cases, private label grocery products dependably match the size, quality, and affordability of any name-brand, so that’s what consumers pick. And, once the grocery routine is established, they’ll probably continue to reach for that private label each time they shop.